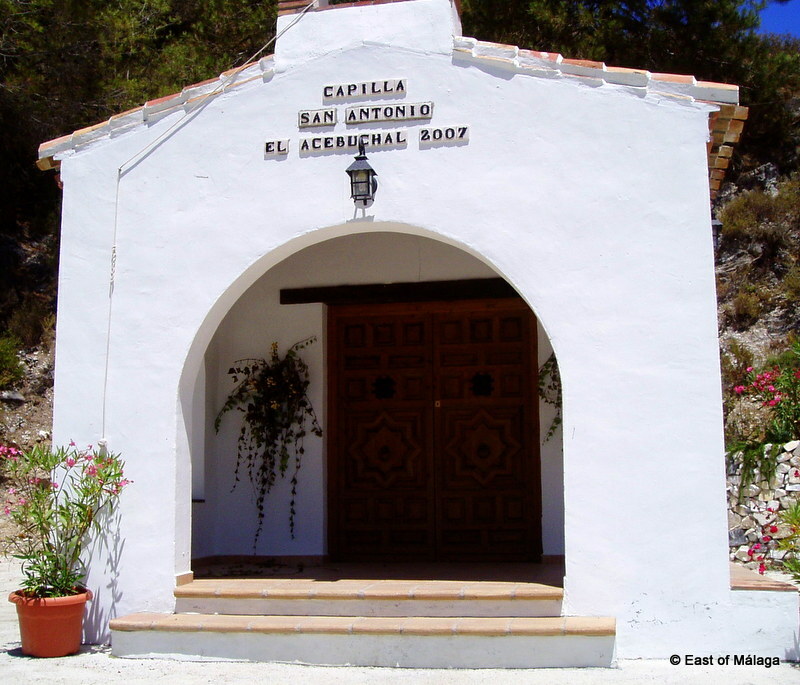 Doorways to be found in the Lost Village of Acebuchal, east of Málaga, Andalucía. I wonder who would answer if I knocked? 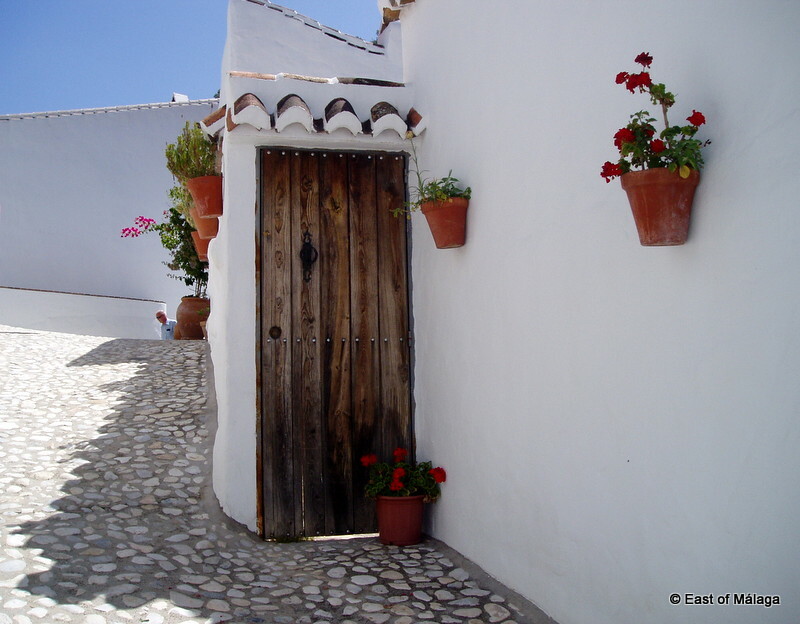 This entry was tagged Acebuchal, Andalucía, doors, Malaga, photography, pueblos blancos, Spain, travel, white villages. Bookmark the permalink. Thanks Ioanna. 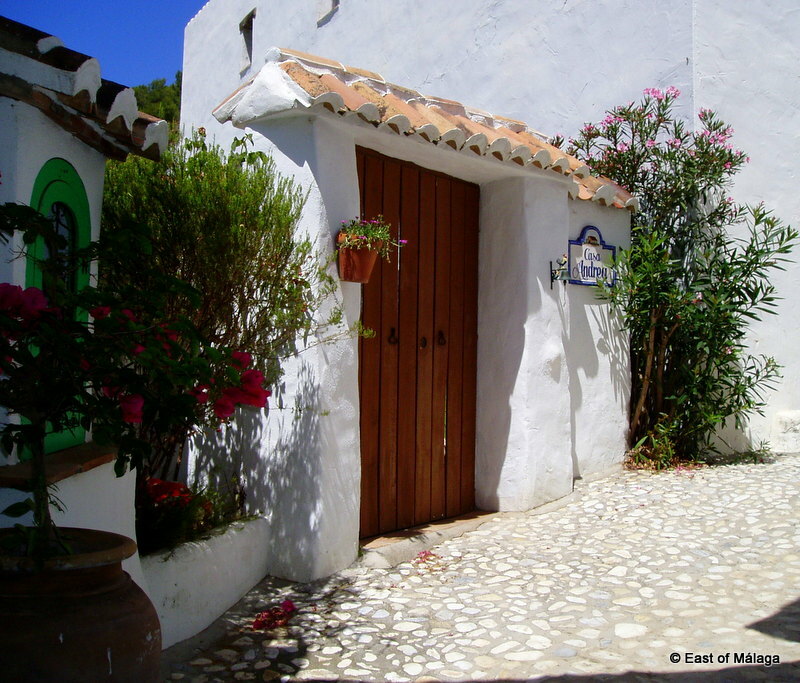 I would certainly recommend many of the lovely white villages of Andalucía to anyone. You´re right – it does make everything look clean, doesn´t it? 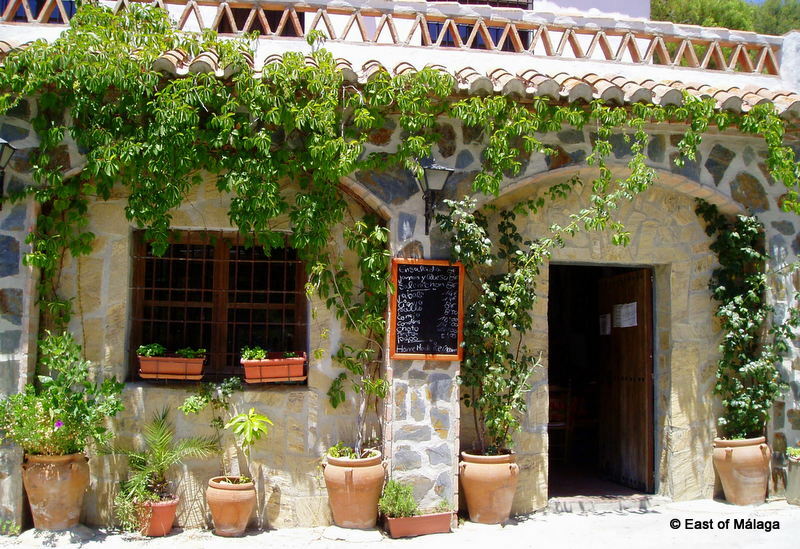 I must say that most Spanish villages are kept very clean and tidy. Where we used to live in the village of Frigiliana, the old ladies used to come out onto the cobbled streets to sweep and mop it. They have such pride in their home and surroundings. Beautiful photos that convey a wonderful sense of ‘being there’. What fun it was to see and admire them. Thanks for posting. I appreciate your comment, Rick. It means a lot coming from you. Thanks. The colors are very lively. One can’t use them in the more northern countries (like the Netherlands): the effect is just not the same. Very pretty pictures, Marianne! Marianne, these are beautiful. There is something really appealing about welcoming, pretty doors isn’t there?! Lovely doors, and thanks for knocking on mine. Looking forward to future images from Spain and beyond. What beautiful photos! I have quite a collection of door photographs from my holiday in the Greek Islands. 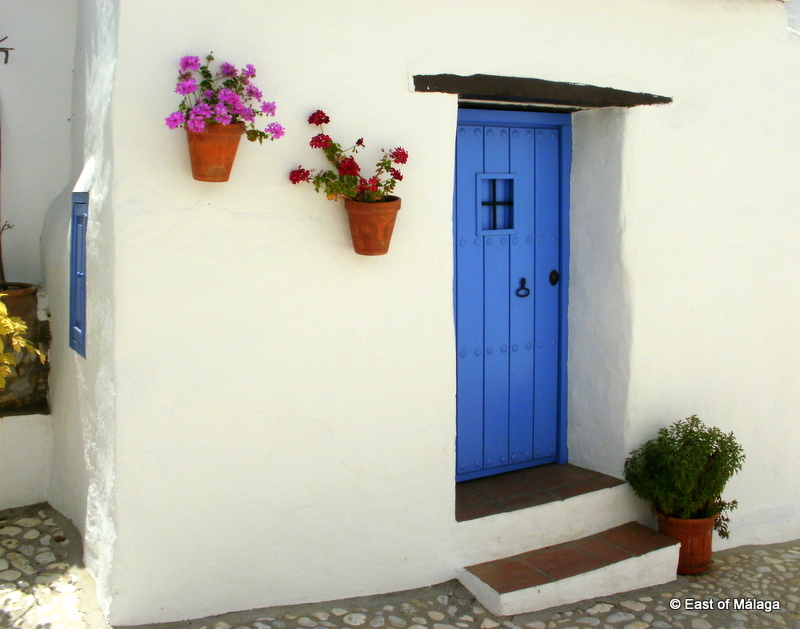 There’s something about a whitewashed building with a colourful door that is so cheerful! what gorgeous places….I also want to win the lottery!!! wonderful photos. My friends have just moved to Malaga a few months back. They are loving it! correction they moved to Nerja! Are you coming to visit your friends anytime soon? You´ll have a blast and the weather is usually super in September, too! hmmm, did my post get lost? starting over….not sure what just happened! I think I am in love with that blue door! awesome pics. and I gotta check out your other links too. The blue door is one of my favourites, too. Have you ever been to Acebuchal? It´s worth a couple of hours of your time if ever you get over this way. When will you be over next, Toby? You´ll have quite a list of places to visit by then, then! Yes, it really is, Gilly.